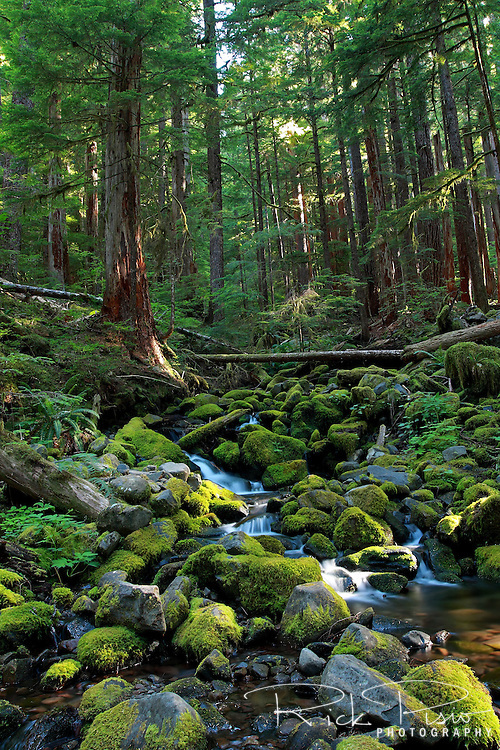 Sunlight filters through the rainforest near Sol Duc Hot Springs in Olympic National Park. Olympic National park is in northwest Washington State. Sol Duc Hot Springs lies west of Port Angeles, Washington.